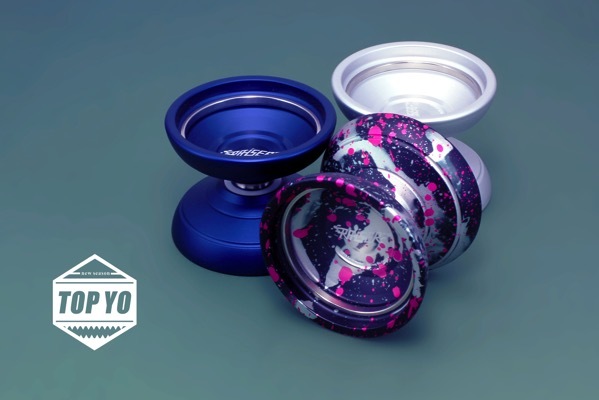 YoYoExpert Blog & Yo-Yo News – New TopYo bi-metal Raiser! The Raiser has an incredible fast and maneuverable play style that feels great in the hand and on the string. It’s machined from 6061 aluminum with stainless steel weight rings placed in the cup for increased control and spin power. The stepped profile distributes the weight perfectly to provide plenty of stability and opens up the catch zone to help with those riskier tricks. Great for any style and matched with an affordable price tag, the new TopYo Raiser is here to help raise your performance to new heights!